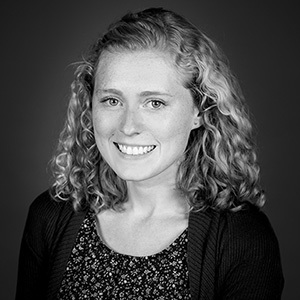 Ragan Allen received her master’s in architecture from the University of Kansas after studying architectural design abroad in Singapore and Malaysia. She’s worked with energy-efficient residential, education, and mixed-use projects. She has also been involved with design-build projects, from concept design to installation. "Inspiration comes from helping to create something completely new that people will hopefully enjoy for years to come." Running and eating lots of chocolate ice cream. I could probably eat my body weight in waffles.